We are well aware that not everyone needs to have full knowledge about commercial floor coverings. Therefore, below we have prepared some basic information for you that you should pay attention to when replacing the floor covering in your facility. The color and pattern are important, but this is certainly not the only factor to consider when choosing a commercial flooring system. There are many types and subtypes of flooring coverings that differ in material, installation technology and functional properties. Each of them is suitable for different types of facilities and different types of rooms within a given facility. If you choose yourself, you may make a mistake. If you do not take into account the advice of professionals and insist on a pattern that completely ignores the type of floor covering, you may also make a mistake. In our own homes, we wash floor coverings even twice a year. Why is it that we forget about this in offices? After all, there is even 20 times more traffic! Plus, we wear shoes there, not soft slippers. A year of using a commercial carpet floor covering without washing can have severe consequences. 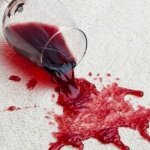 Some stains cannot ever be removed, the original color probably cannot be restored, in the extreme cases, the floor covering just needs to be replaced. Therefore, regular cleaning of floor coverings at least once a year simply pays off. Our experience shows that having our own team of installers is a key issue determining the quality of the works performed. Why is it worth trusting companies that do not hire crews to work on individual investments but permanently hire their own teams? Because a permanent experienced team of installers is a guarantee of timely and professional work and a guarantee of quick and effective complaint handling. In contrast, it is harder to check out hired installers. Perhaps the real professional is only their boss, while the individual employees are just apprentices? It is more difficult to enforce complaints. When a flooring problem emerges, the team of installers may no longer be available. 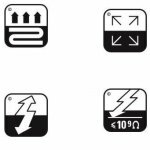 A very common problem that arises when searching for the right commercial floor covering is the incomprehensible pictograms in the technical data. Below we describe the ones that we most often encounter on templates and technical cards. 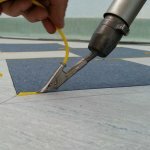 Read our blog, where you will find our experts regularly provide advice on installation, floorcare and solutions in the commercial floor coverings sector.